Since 2008, rates have hovered near zero, with the Federal Reserve offering consistent assurances that rates would remain near zero to contend the economy’s low inflation and high unemployment rate. The proposed normalization won’t happen overnight. Even with increased rates, the flow of the economy will still be considered, with rates beginning to rise mid-2015. Rates are predicted at anywhere from 0.375% to 4% by the end of 2016, with no solid figure agreed upon. All except two policy makers noted that they predicted an increase of short-term interest rates in 2015. Their median estimate put short-term borrowing rates at 1.125% in the next year. For 2016, the median rate estimate was 2.5% and for 3.625% for 2017. Of course, this is all gradual and dependent on the growth of the economy. While the labor market has improved, with a lower unemployment rate, inflation could alter plans. 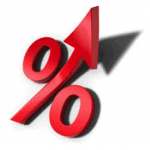 The Labor Department reported recently that consumer prices dropped 0.3% in November. This is marked as the largest one-month drop since the massive financial crisis in 2008. Federal officials have confidence that this drop, as well as the recent oil declines, won’t completely hinder their efforts. Inflation developments will be watched carefully, and we’ll monitor developments from the next policy meeting to take place January 27-28. Capstone Capital Group, LLC. understands the importance of these policy meetings and what higher interest rates mean for you. Capstone offers Single Invoice Factoring (“Spot Factoring”) as a solution. For years, we have helped organizations get the immediate cash they needed without the typical red tape that most banks require. For more information about Capstone and our Single Invoice Factoring and purchase order factoring give us a call today at (347) 821-3400 and speak to a representative.